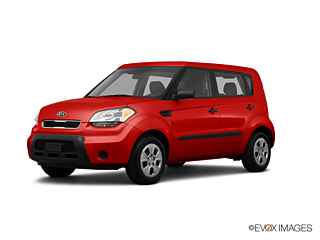 Your normally dependable Kia is starting to need a little help. Although you have kept it well maintained you are beginning to see wear and tear taking its toll. It may only be a matter of time before you may experience a major repair issue but getting your car fixed is so expensive. Well, it doesn’t have to be. Auto salvage yards can put new life back into your Kia without major damage to your budget. Used auto parts sold at AutoPartSearch.com helps to get your Kia back in tip top shape when making auto repairs or replacements. We have an amazing selection of parts for Kia Amanti, Borrego, Cadenza, Forte, Optima, Rio, Sedona, Sorento, Soul, Spectra, and Sportage. Used car parts offer many advantages when making repairs and are quite beneficial to those wanting to save money. The buck doesn’t stop there when you use recycled auto parts. A good percentage of parts taken from a salvage situation are in great condition and directly match your old parts, so no worries about fit necessary. Another positive when you buy used Kia car parts is the ability to do your part in lessening the destructive impact of pollution in our environment. Purchasing a Kia reusable part assures that our landfills are not full of waste products and toxic materials. Now you can see just exactly why you would want to give auto salvage parts a new home in your KIA. Not Convinced? What about AfterMarket Parts? AfterMarket auto parts may appeal to you when you aren’t sure you want a used part. They also can be really excellent choices for the person wanting to add custom additions or make performance changes. Just in case you fall into this category, you can find an amazing selection of aftermarket parts on our site. OEM auto parts are manufacturer made parts. Buying these types of parts may be great for keeping your car just like it was when it rolled off the assembly line. If your car is a newer model OEM parts are generally available. Older model car parts may have been sidelined and a used or aftermarket may be your only choice. OEM parts are expensive but warranties are frequent, if this is important to you, we give your the option to choose parts from our OEM inventory.